Chinese mobile Internet software service UCWeb and e-commerce giant Alibaba launched today sm.cn, a mobile search service developed by Shenma Inc., a joint venture established by the two companies in July last year. UCWeb and Alibaba reportedly hold a 70% and a 30% stake in the joint venture respectively. CEO and chairman of UCWeb Yu Yongfu will serve as chairman of Shenma, while Liang Jie, CTO of UCWeb, will serve as president. Search is one of the best means when it comes to monetizing users/traffic, so Qihoo 360 and the like would eventually tap into search. UCWeb has always been an important access for the mobile service of searching engine Baidu. Around 35% of Baidu’s mobile search service comes from UC, said CEO of UCWeb in June 2012. It has long been rumored since 2012 that Baidu planned to acquire UCWeb to complement browser service, but no agreement has been reached between them. However, UCWeb’s tie-up with Alibaba to start a home-grown mobile search service indicates the mobile browser developer is parting with Baidu to adopt a model similar to Qihoo 360’s in an attempt to pocket searching service revenues itself. With a big plan for Mobile Internet, Alibaba has made a series of strategic investments in UCWeb as early as 2007 and Jack Ma, chairman of Alibaba Goup, joined UCWeb’s board of directors last year. Moreover, the technical team and business of Yisou, the video searching service of Alibaba, has been integrated into UCWeb last year. 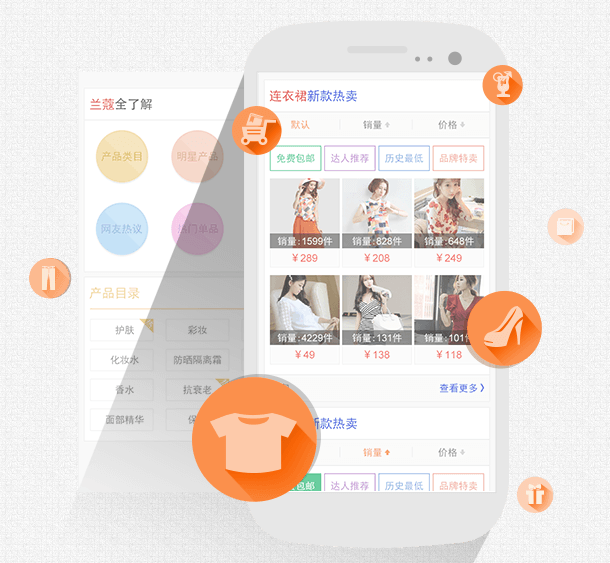 Alibaba’s revenues on PCs mainly come from searching marketing and display ads on its marketplaces and a contextual ad network, and the launch a mobile search service may help the e-commerce giant to accelerate its commercialization drive. This tie-in will also fuel the zeal for its upcoming IPO in US stock market. In addition to web searching, Shenma also offers mobile searching service in different verticals, like App, shopping, and fictions. It is expected to add voice and picture search in the future. China’s mobile search market is valued at $1.3 billion this year and $2.5 billion in 2015, according to research institute iResearch. Triggered by the huge market potential, SoftBank, an investor of Alibaba, led a $120 million round in Wandoujia, a Chinese company that also puts focus to mobile search business.